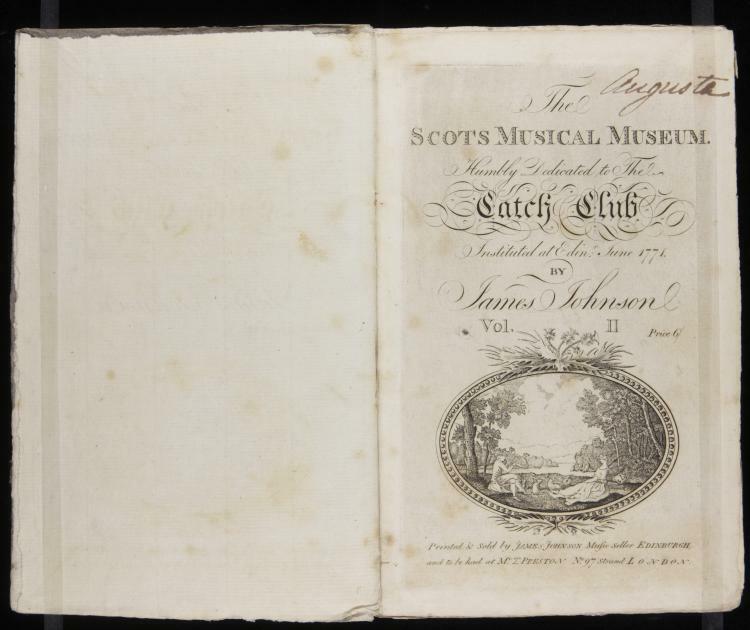 A major source of Scottish national song is The Scots musical museum, published in six volumes by James Johnson, a prominent music engraver and publisher active in Edinburgh, 1772–1811. 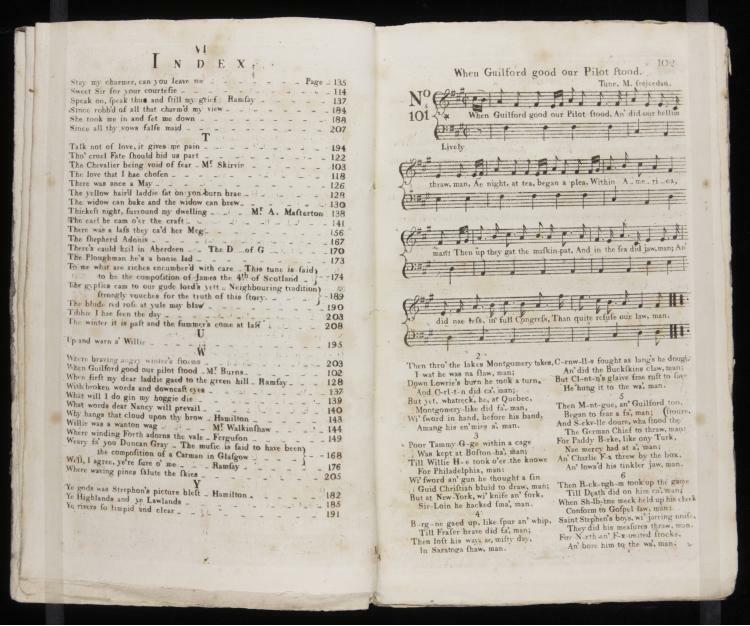 More than one third of the 600 songs in Johnson’s collection were contributed by poet and songwriter Robert Burns (1759–1796), including traditional melodies and lyrics, and original poems. Bass accompaniments were composed by Stephen Clarke (1735–1797) and his son William Clarke (1775–1820), both Scottish composers and organists. William Stenhouse (1773–1827), Scottish antiquarian, wrote scholarly notes on each song, published in 1839 as Illustrations of the lyric poetry and music of Scotland. Volumes 1–4 are present in the Archive, each signed on the title page by Princess Augusta. An example of original poetry by Burns is “Ballad on the American war,” in volume 2, published in 1788. Using a traditional melody, Burns’s poem comments on events of the American Revolution, from the Boston Tea Party of 1773 through the recent succession of William Pitt as Prime Minister of Great Britain in 1783–1784.